Welcome to the light and colorful world of new online free relaxing game under the title Cartoon Mahjong! Enjoy playing classic mahjong, the rules are the same. 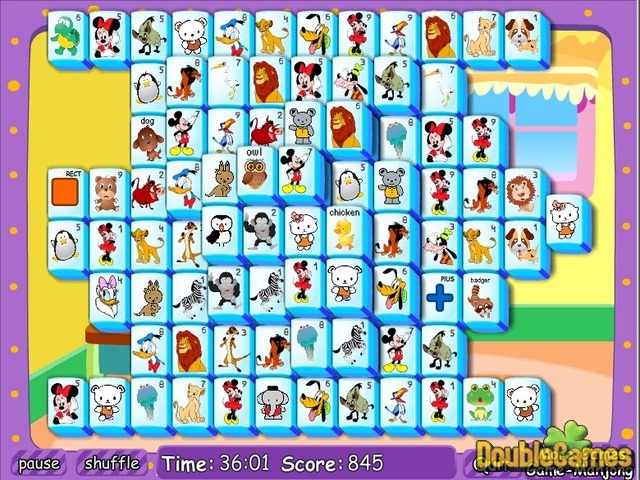 Try to find the tiles with identical pictures of cute animals and Disney characters and then click at them to make them disappear! Don't waste your time and pay attention that the tiles should be unlocked! 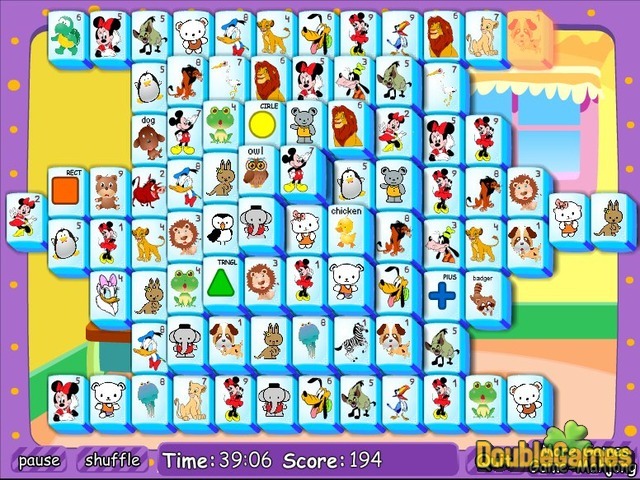 Cartoon Mahjong is very bright, funny and relaxing game! Start playing it right now totally for free, you would not regret it! Title - Cartoon Mahjong Online Game Description - Relax with Cartoon Mahjong, a Board & Cards game built up by game-mahjong.com. 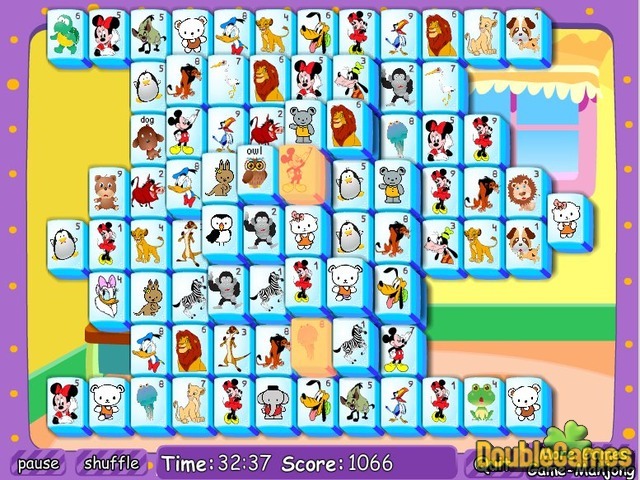 Meet cute Disney characters and animals in new Mahjong!